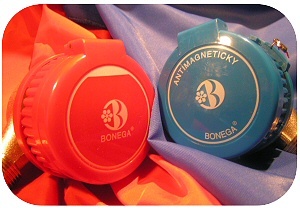 Which advantages will you gain by using the BONEGA® water-meters? Are you sure that your existing water-meter does hold the scales even for everyone? Developing the BONEGA® water-meters, we have taken into account the negative experience of the end users and we have formed a lot of measures which avoid the intentional falsification of measurement results. The BONEGA® water-meters are proud of their extraordinary high accuracy and sensitivity in both installation positions in the B class (they even come close to the above-standard C class). In addition, the water-meters have a lot of practical elements facilitating the installation and reading. Thanks to our own development, we have succeeded in manufacturing a water-meter on the technical top-level and with a modern and impressive design. We satisfy our customers also with the promptitude of delivery, the business terms and especially with the long-term guarantee period (4/6 years). We trust in our products absolutely. Of our own free will, we let them gauge pursuant to the demanding EHS standard.